Is it a wine? An estate? Or a village unto itself? The answer is yes! And here today to tell us why is Proprietor and Winemaker, Michele Braganti. Amico mio, grazie per esservi uniti a me oggi! Maybe you can explain to me exactly what Monteraponi is? It’s not a traditional wine estate is it? It appears to be more of a complete village that you own, including the outlying vineyards? When did you acquire the hamlet and vineyards? Ahh, indeed. 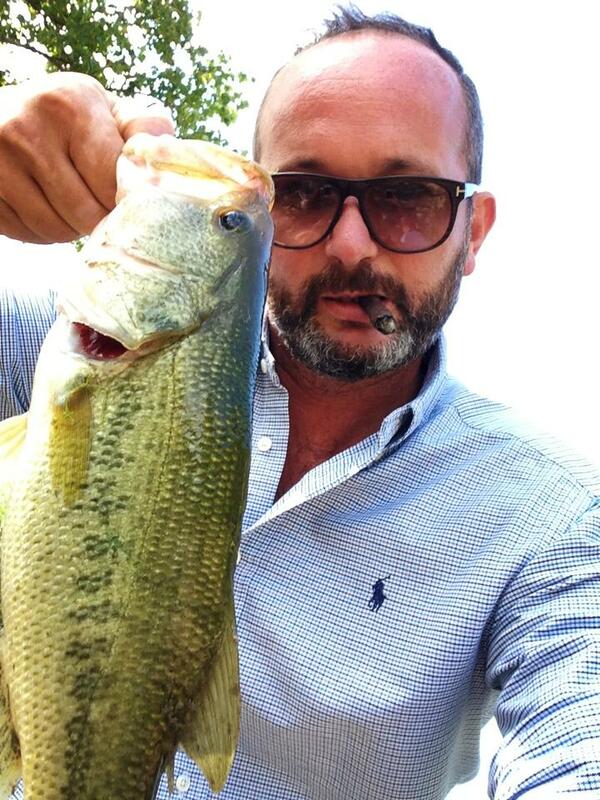 I saw one of those fishing triumphs! Giovanni, you’re a funny man! So, my family took over the estate in 1973 just with the idea to keep it as an investment. There were only old buildings on the property then, needing refurbishment. 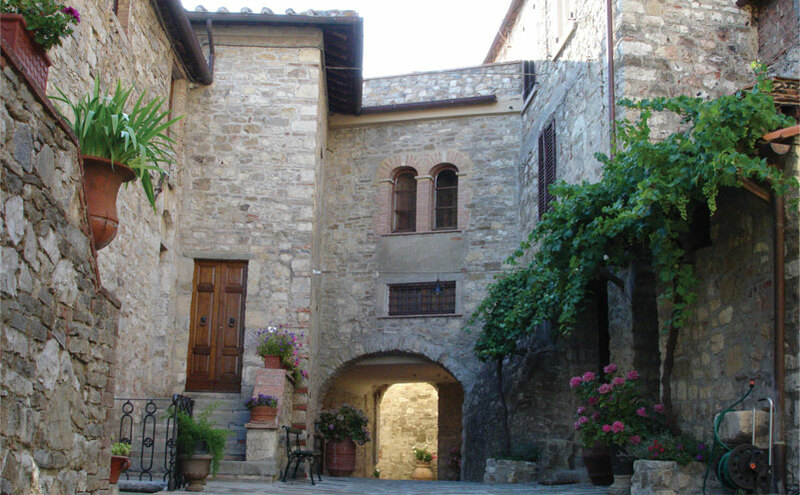 They came from the borgo, a type of castle, which is dated from the Xth century. The renovation started in the late 1990s when I came to the estate to seriously follow the proceedings and have been directing since. When you, your partner Alessandra and I spoke at Slow Wine, she was very adamant about your traditional practices. No fining, no filtering, aging in cement, natural yeasts, no pesticides or fertilizers. How long has this been the case at Monteraponi? What benefits do you see from using methods such as these? I changed every thing from the 2006 vintage when I stopped with traditional agriculture but kept the organic philosophy. Yes, I only use natural yeasts, long macerations, cement for alcoholic and malolactic fermentations and large oak barrels for refining. That’s tradition in the Chianti Classico zone from the 1950s. Indeed my father found concrete tanks when he came for the first time to Monteraponi. Luckily he kept them there. Regarding the benefits of this, we have seen an incredible changing even in the color of the soil. A lot of new animal races came into the valley and stayed, bringing a very important complexity to the ecosystem. All three of your Chianti include a majority of Sangiovese, but also small portions of Colorino or Canaiolo. No Merlot? Not 100% Sangiovese? Why not? Sangiovese, Canaiolo and Colorino are the kings for the Chianti Classico blending. The Baron Bettino Ricasoli, in 1872 invented the formula, which has been followed for centuries until the Consortium, under pressure from a lot of producers and influenced by the international grapes, decided to relax the rules. I think also because of the difficulty in vinifying such a delicate grape like Sangiovese. So is it more because of tradition or more related to the nature of Sangiovese? I would say it is both. But the tradition exists for a reason – because it has been long established that Canaiolo and Colorino work well with Sangiovese. They compliment Sangiovese in the right way. If you are not careful, the delicate profile of Sangiovese and the characteristics of what make it great can be easily overwhelmed. So you believe more in the land and the vineyard. Do you think great wines are made in the vineyard, or in the cellar? If the vineyard is not well established and cared for the cellar can be the best one but the wine will never be perfect. All the steps must be well made, even if they are very micro oriented. Vineyard care, harvesting by hand, grape selection, natural vinification and good materials in the cellars are the base to build good wines. The 2009 Campitello Chianti Riserva is one of the most floral and mineral Sangiovese I’ve had in a long time. What is special about that vineyard? Campitello is our oldest vineyard. Now it’s 42 years old. It is the lowest in altitude and totally separated from the forest by the others vineyards. It is a guarantee for quality even if the weather is always a guess. It can be considered the traditional Riserva from the past. Strong, but not too tannic, complex and fine. It has a long after taste and acidity. Freshness. Perfect. I agree, you describe it perfectly. Molto elegante! 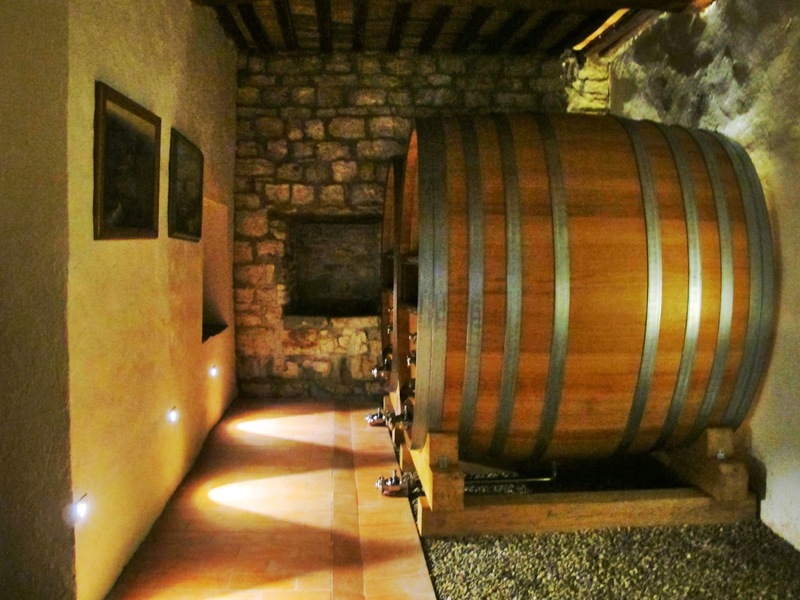 Describe your preferences for aging your Sangiovese in oak. Many producers use small barrique – you don’t. Why? Do you think Sangiovese needs long aging in oak? Sangiovese needs many things. First and most important is the even ripening, so I have to check and wait for the perfect maturation of the clusters. That’s the secret. Then, long skin contact maceration; usually about 40 days, to keep the flavours and color. Then the cement to give time and independence to the must in order to start and finish the fermentation on it’s own. Finally, the big oak, 25-30 hectoliters, to let the wine breath and begin refining and switching tannins from the oak to the wine – All without any strong oaky taste. My focus is to keep tradition and respect the area and the grapes in order to show their real potential. Chianti Classico cannot be Classico anymore if you blend it with international grapes. My goal is to produce a wine, full of mineralogy, acidity and freshness so that it invites you to drink more and more without boring you when the bottle is half full! When you close your eyes to taste, I want you to be thinking of Radda, which is one of the most beautiful zones to produce the best Sangiovese! I’m sold! Let’s open some Baron’ Ugo! Indeed that is special wine from a special vineyard. 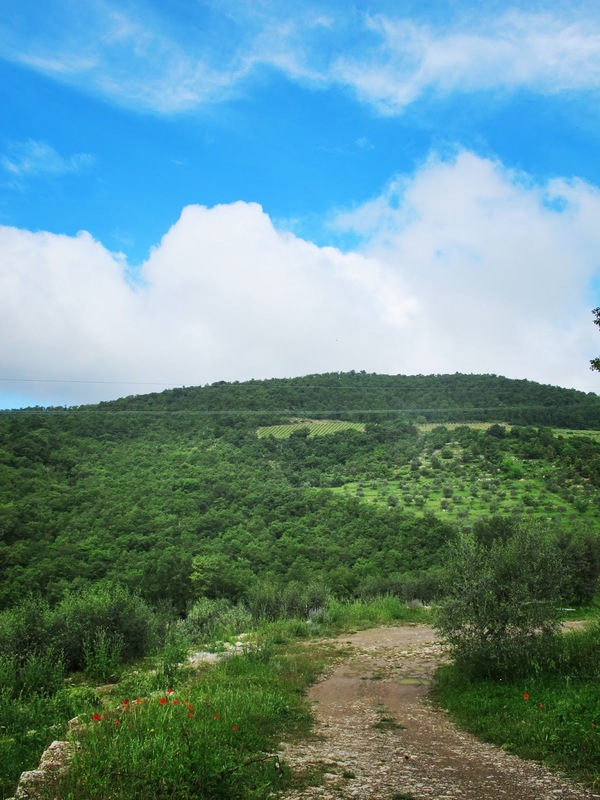 Baron’ Ugo, along with the rest of your vineyards, are some of the highest and steepest in Chianti. What needed to be done to plant and farm the vineyard given it’s geography? Of course it is not easy to have such a steep or high altitude to work with. Steep is really dangerous if you’re not able to manage the tractors in those vineyards. Baron’ Ugo for instance is at 570 meters and was finished by my father when he purchased the estate. Back then it was much more difficult. He spent a lot of money and time to complete all the work to make that land ready to plant. But he has been a genius to understand that it was the perfect place to plant Sangiovese, thanks to the rocky soil, sun exposition and the steepness which helps drainage. Even just if it was impressive to be there working and looking below. It’s a great view! One thing I’ve noticed, be it the Baron Ugo, the Campitello or the Chianti Classico, your wines all bear a distinctive powdery mineral trademark. Where does that minerality come from? Totally from the soil, which is full of rocky limestone and calcareous deposits. In the other vineyards, below Baron’ Ugo, there is a bit more clay, but not too much. 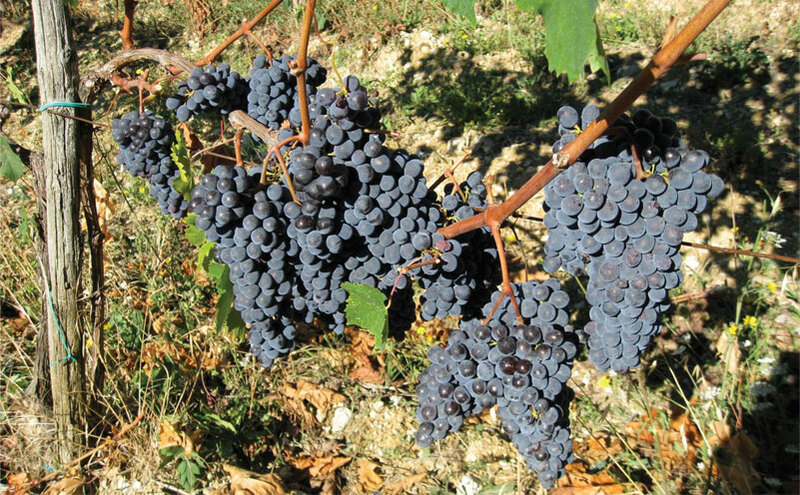 Do you think Sangiovese is considered one of the great wines of the world? Do you personally think it is? Absolutely. When you understand Sangiovese, you can be a winner. For it’s high acidity and nose complexity it’s compared to Pinot Noir from France. In fact my favorites are: Sangiovese, Pinot Noir and Nebbiolo and also Nerello Cappuccio from the Etna hillsides. All of these grapes are very delicate, yield elegant wines full of tannins and flavours and aromas of flowers. Your Partner Alessandra works by your side constantly. What are her roles in the winery? What is the biggest challenge facing Monteraponi today? What’s new or exciting that you’d like my readers to be aware of? After only 10 years I’m really proud to have not only created an appreciated wine “Chianti Classico” but also a Brand, which means quality, and respect of the terroir! Making the best wines to represent the highest potential from my vineyards. My biggest challenge is to keep this quality level for the future. Not only a trend but a sureness for my clients and Monteraponi’s lovers. A mutual friend wanted me to ask you what’s your favorite wine bar in Florence and why? It’s a small wine shop in the Palazzo Pitti square in the Florence centre. Pitti Gola e Cantina, managed by 3 young guys, very smart and lovers of good wines. The wine selection and the views of Florence, plus the setting are simply amazing. 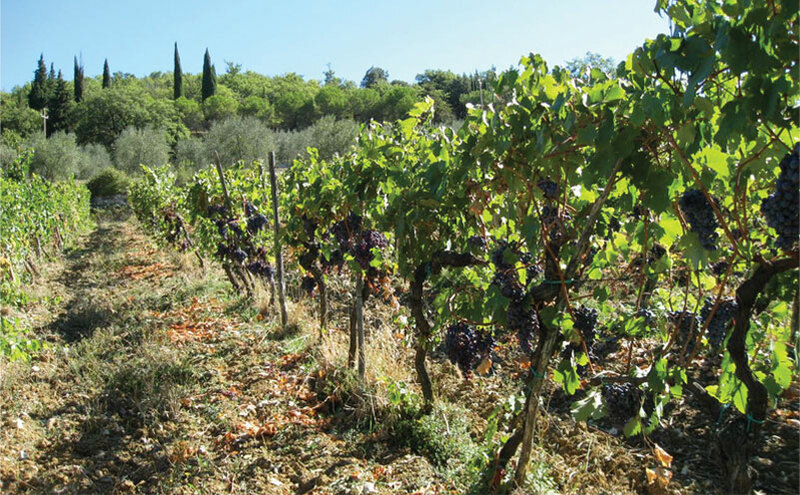 Finally, Michele, this question is a tradition at TuscanVines. 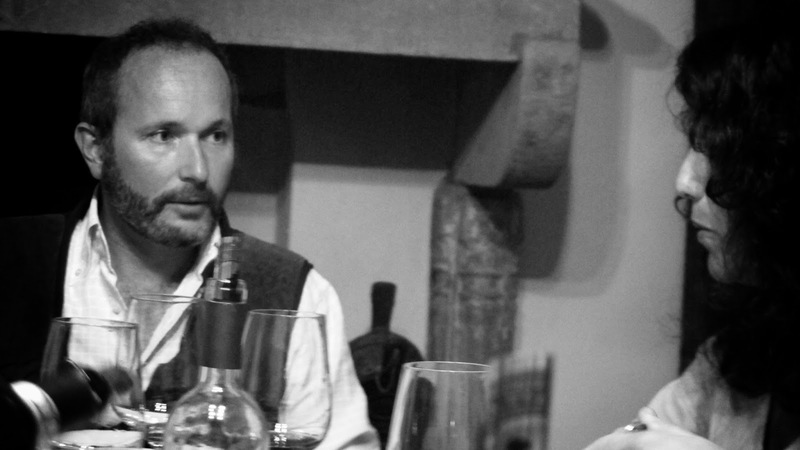 When you are done climbing the vineyards, working, tending to the cellars…..what do you drink at the end of the day? What do you and Alessandra uncork? Michele, thank you so much. Your fun loving whimisical nature is as compelling as your passion for winemaking. It was my pleasure to have you with us today. Giovanni, grazie. 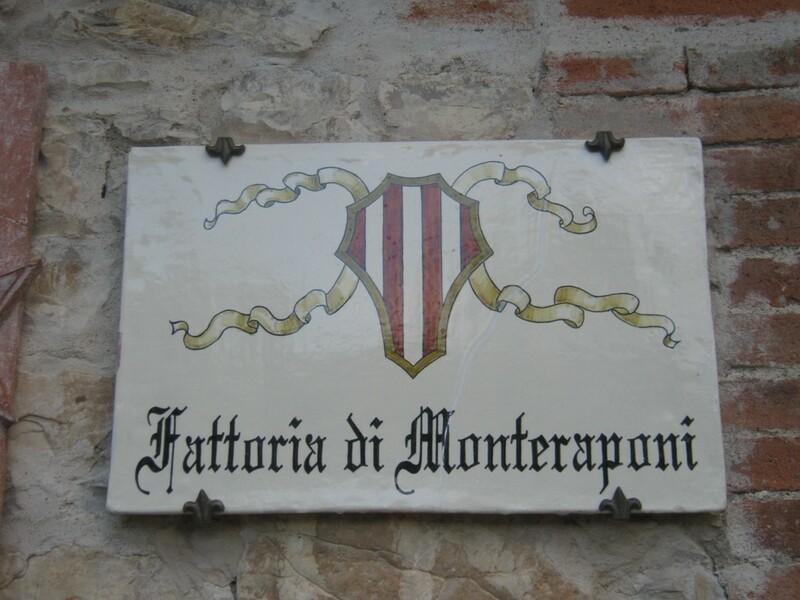 I’ll wait for you at Monteraponi! Because, as a photographer I thought you'd think the blurred/focus thing was cool. Great article. 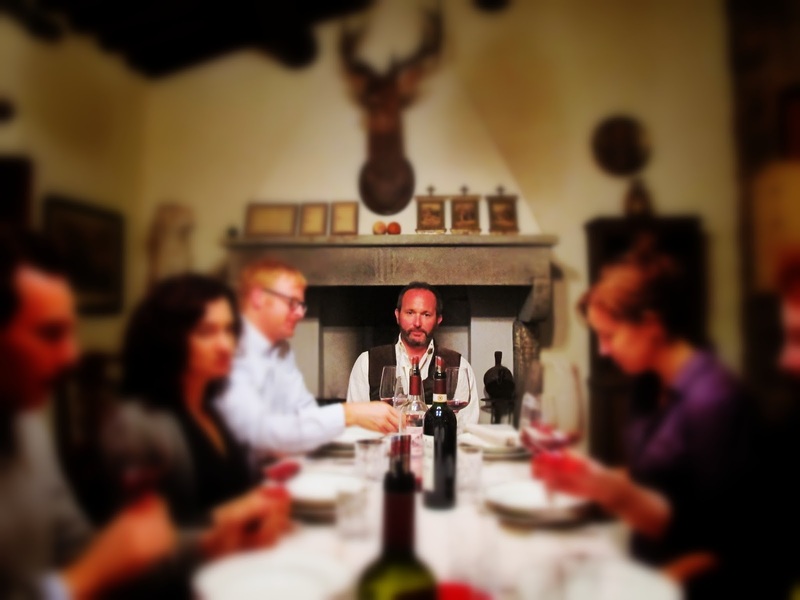 I got turned onto Monteraponi at what I consider to be THE best winebar on planet Earth (Enoteca Pitti Gola e Cantina in Florence) a few years ago. The proprieters there are all about classically made 100% sangiovese Tuscan wines and enthusiastically poured copious samples of Monteraponi. The Baron Ugo is for me the best Chianti I have ever had, with a few Monsanto Il Poggio and Castell'in Villa Riservas not far behind. Keep up these great interviews, I've really been enjoying them. Hey, the owner of this site is me, not Brad! 🙂 Funny world huh? That you and Michele both dig the same wine bar. I hope you continue to read and enjoy the site, and thanks for commenting! Oops, I knew that. You web winos all look alike to me! I stand by the rest of my comments.